Philippe Sereys de Rothschild, Chairman of the Supervisory Board of the family company Baron Philippe de Rothschild, welcomes Sir Russell Coutts – CEO of the America’s Cup Event Authority – at the Mouton Cadet Wine Cellar today during the 35th America’s Cup. 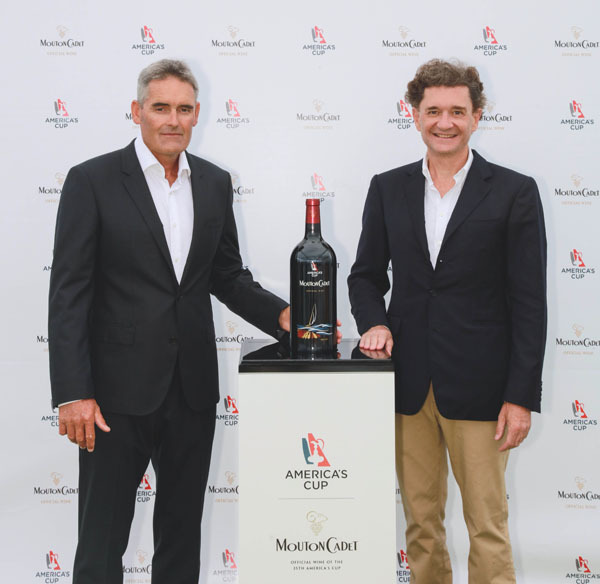 Marking the debut of Mouton Cadet as the Official Wine of the 35th America’s Cup, yacht racing’s most exciting event, Philippe Sereys de Rothschild and Sir Russell Coutts celebrate the new relations between the famous Bordeaux brand and the 35th America’s Cup. 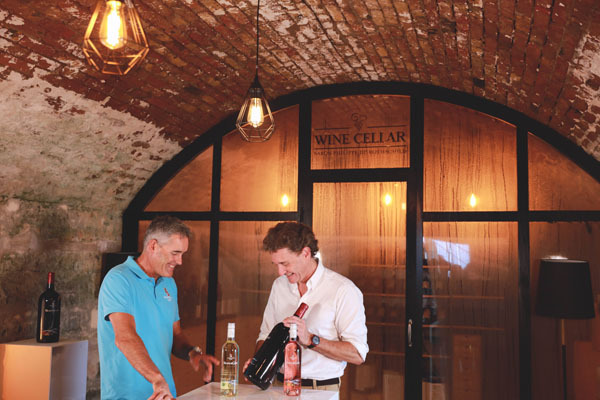 The limited edition red, white and rosé wines are the perfect accompaniment to the sailing events, allowing wine lovers and sailing enthusiasts alike the chance to participate in one of the sport’s most prestigious events. 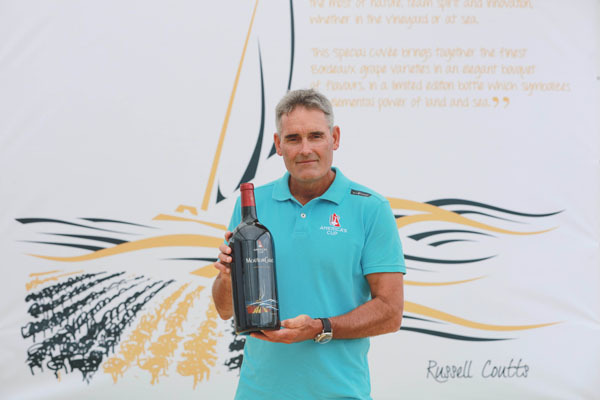 Follow @MoutonCadet on Instagram for news and updates on Mouton Cadet, Official Wine of the 2017 America’s Cup.